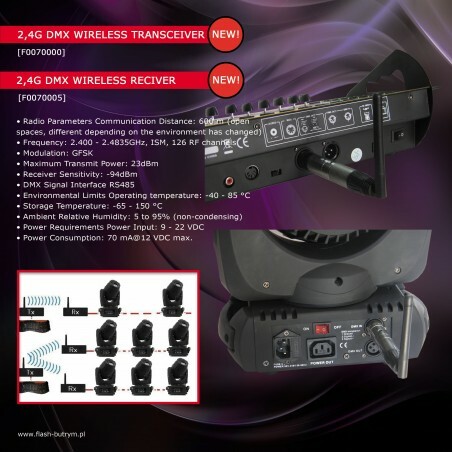 DMX512 wireless receiver/transmitter transmit standard DMX512 protocol data (generated by console) by wireless way, which solves lighting control issues of wireless transmitting completely between console and lighting, lighting and lighting and so on, It get rid of connecting cable limited completely. 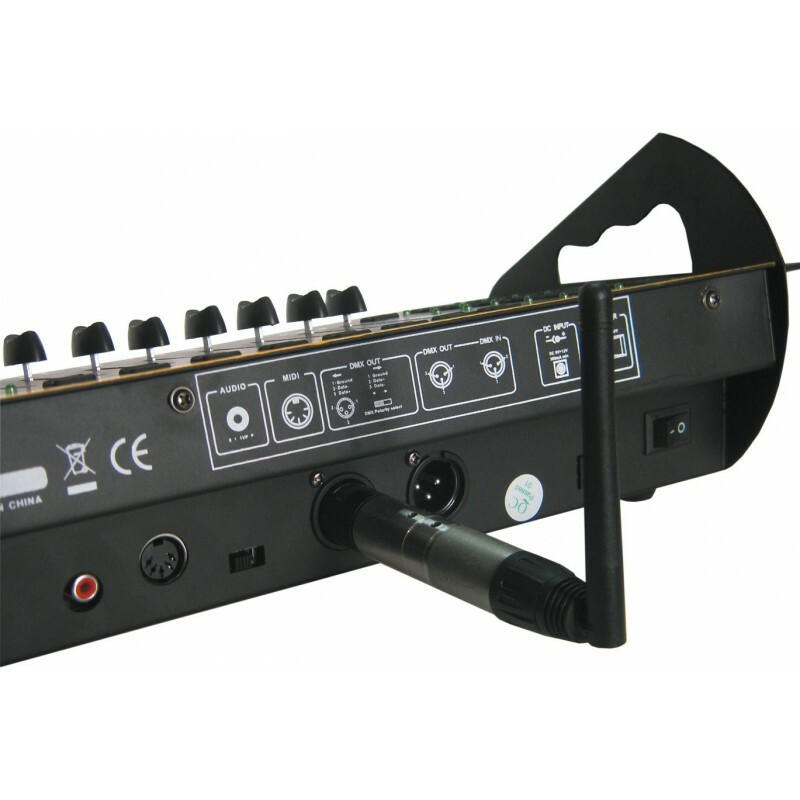 And also can ensure without any time delay when signal data is transmitting, signal data is real time and reliably. High effective GFSK modulate communication design. 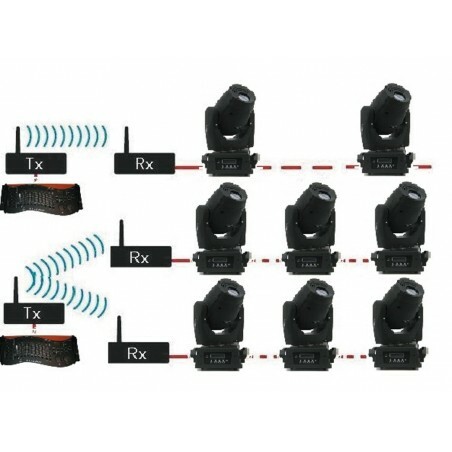 126 frequencies band, FH design, and frequency-hopping synchronization automatically. 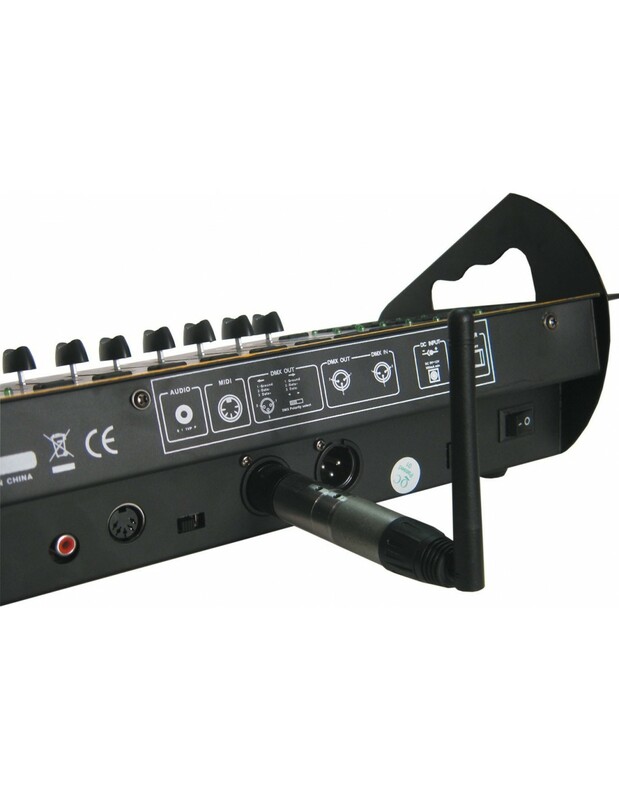 Stage lighting、Disco hall、Large literature performance、Gymnasium lighting、Temporary stage performance 、City lighting system 、TV station 、Conference center 、 professional showplace、Topic park 、Bar lighting and so on. Transmitting/receiving standard DMX512 protocol data of console，and the master-slaver on line signal of the same kind of lighting each other. Single key to operate，tricolor LED indicator. The LED indicator bright：No DMX or wireless signal. 3. 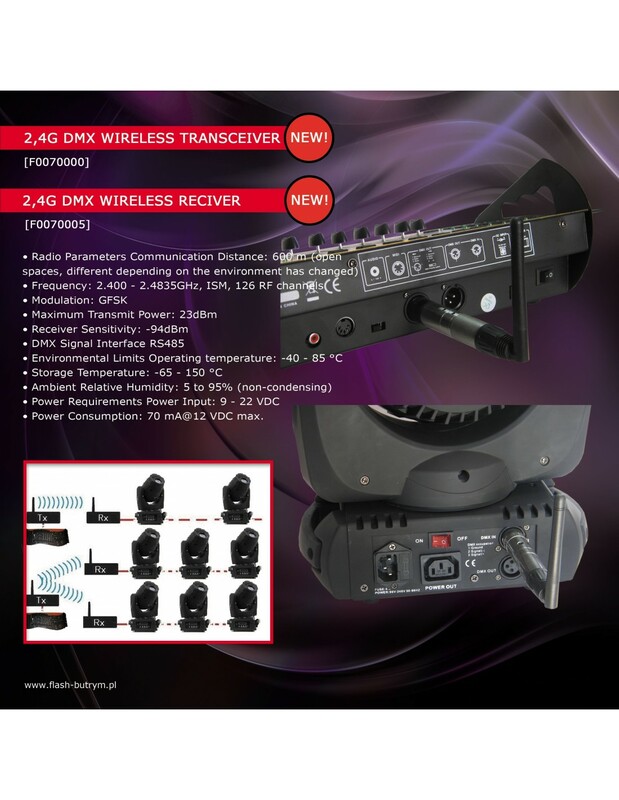 126 frequencies band, FH design, and frequency-hopping synchronization automatically. 4. 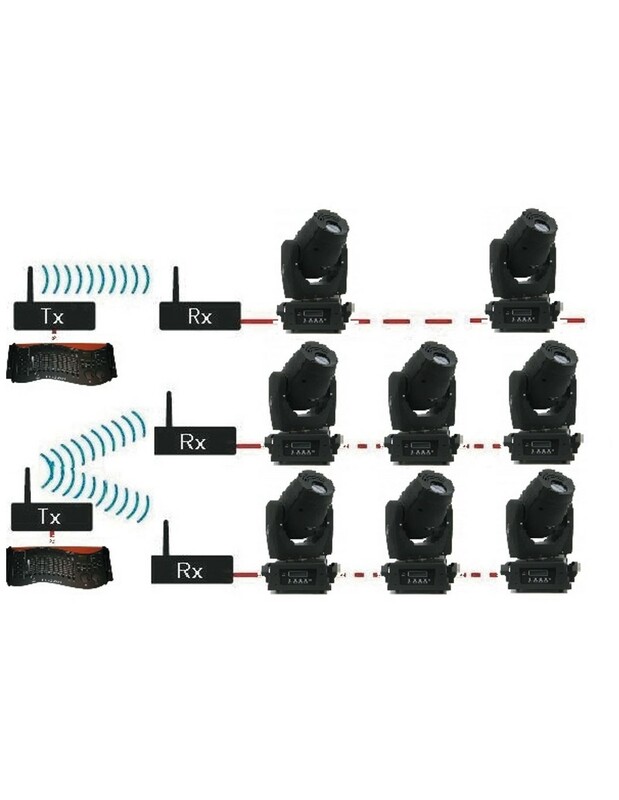 7 groups ID code to set these different wireless nets without any interfere each other in the same place.